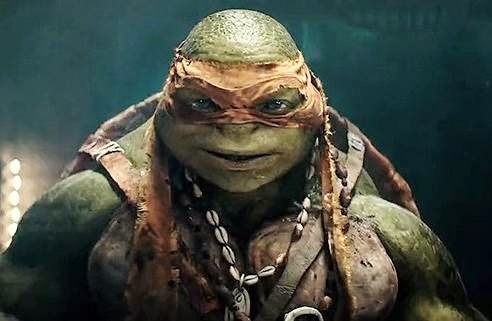 The second TEENAGE MUTANT NINJA TURTLES trailer came out yesterday and to be honest, of the 100 seconds of footage, I'd say maybe 10 to 20 seconds of it might be new content, at best. 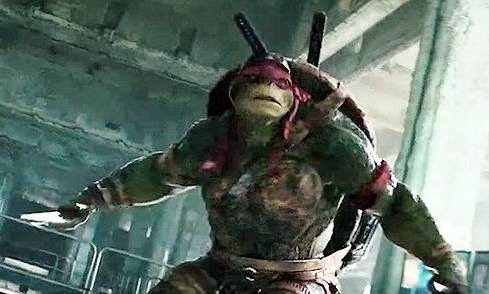 The new content in the trailer, consists of better looks at our favorite Ninja Turtles themselves. The trailer has William Fichtner (Shredder) talking about crime having taken over the city and that something needed to be done about it... and from there, I'm not sure how Shredder becomes a bad guy unless he starts up crime waves to convince the people about something or other. But the action scenes with the turtles are looking pretty spiffy. "The city needs heroes. Darkness has settled over New York City as Shredder and his evil Foot Clan have an iron grip on everything from the police to the politicians. The future is grim until four unlikely outcast brothers rise from the sewers and discover their destiny as Teenage Mutant Ninja Turtles. 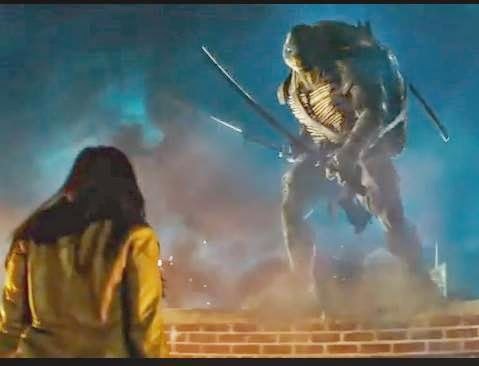 The Turtles must work with fearless reporter April O'Neil (Megan Fox) and her wise-cracking cameraman Vern Fenwick (Will Arnett) to save the city and unravel Shredder's diabolical plan." "Don't freak out. It's just a mask!" The movie comes out on August 8, 2014, from Paramount Pictures.